Nancy Lemon was a student founder of UCSC’s Women’s Studies Program and graduated from the Program in 1975. She subsequently graduated from Boalt Hall School of Law, U.C. Berkeley, in June 1980 and was admitted to the California Bar in December 1980. Prof. Lemon, who is a Lecturer in Domestic Violence Law and Director of the Domestic Violence Practicum at Boalt, introduced and has now taught Domestic Violence Law continuously for 25 years at the school. She authored DOMESTIC VIOLENCE LAW, the first U.S. textbook on this topic, which Austin & Winfield Publishers published in 1996 and for which West Group has published four additional editions, the most recent in 2009. She has also co-authored CHILD CUSTODY AND DOMESTIC VIOLENCE: A CALL FOR SAFETY (Sage Publications, 2003) and WORKING TOGETHER TO END DOMESTIC VIOLENCE (Mancorp Publishing, 1996) as well as authoring dozens of amicus briefs, law review articles, affidavits and books chapters about domestic violence issues. Since 1983, she has worked on numerous pieces of California state legislation and has conducted hundreds of trainings on domestic violence topics for many different professional groups. Since 1995, working as an expert witness, Prof. Lemon has consulted on hundreds of family law, tort, asylum and other cases and testified in sixty. 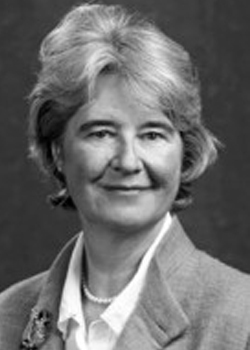 She is a Co-founder and Legal Director of the Berkeley Family Violence Appellate Project. Seating is limited - please email fmst@ucsc.edu or call (831) 459-2461 to reserve a space at the luncheon. Feminist Studies wishes to make this event accessible to all. Please contact (831) 459-2461 for accommodations. This event is free and open to the public, but reservations are required. Generously sponsored by Cowell College, The Presidential Chair in Feminist Critical Race and Ethnic Studies, and the Department of Feminist Studies.